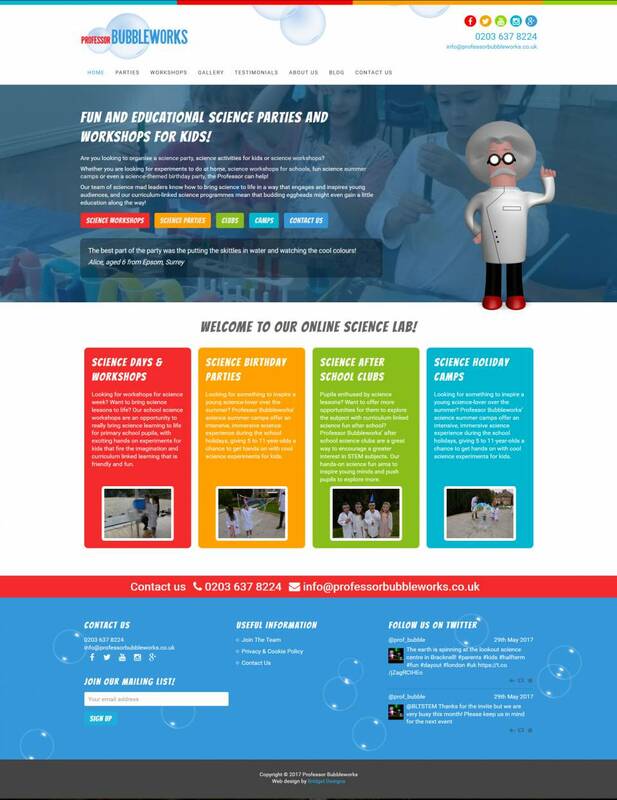 Professor Bubbleworks provide fun, engaging science workshops for primary school aged children in London. They were looking for a website to promote their services in a way that would appeal to both parents and teachers. They had some existing artwork and video animations so these were incorporated into the design. The colour scheme is bright and fun and playful, but the layout is clear and straightforward so users can quickly see the services they offer and how to book.